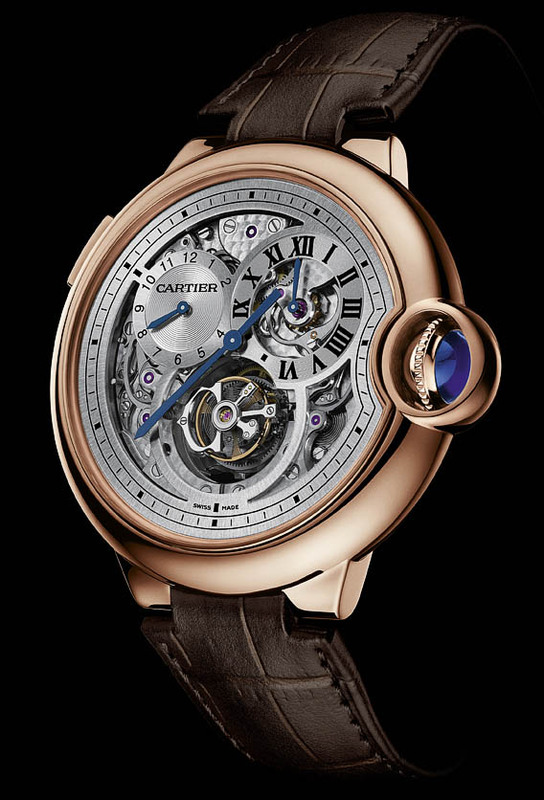 From Cartier, another preview of the novelties that the luxury brad has prepared for the Salon International de la Haute Horlogerie (SIHH) 2013: the Cartier Ballon Bleu Tourbillon Dual Time Jumping Hour. The new watch has a beautifully designed open-worked dial with a central blue minute hand and two smaller hour counters, both adopting a jump-hour mechanism. The second time zone indicator is advanced by the pusher at 10 o’clock. 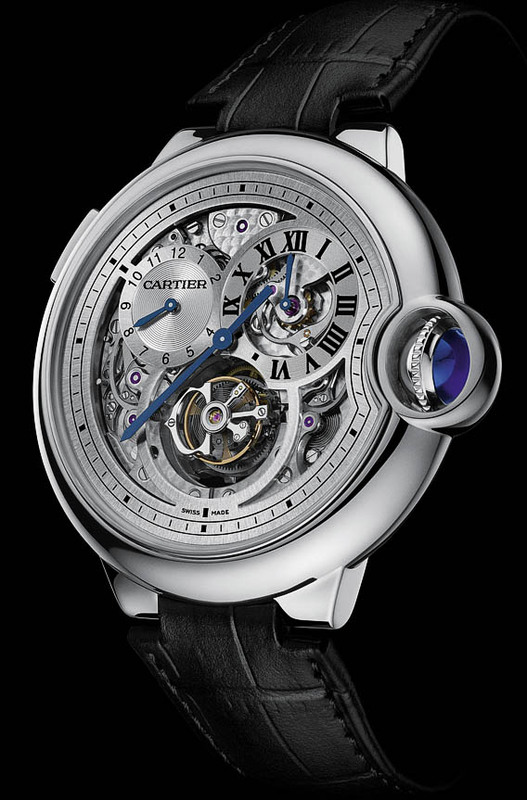 At 6 o'clock the flying tourbillon is a real eye-catcher, just like the unique winding crown with its blue sapphire cabochon. 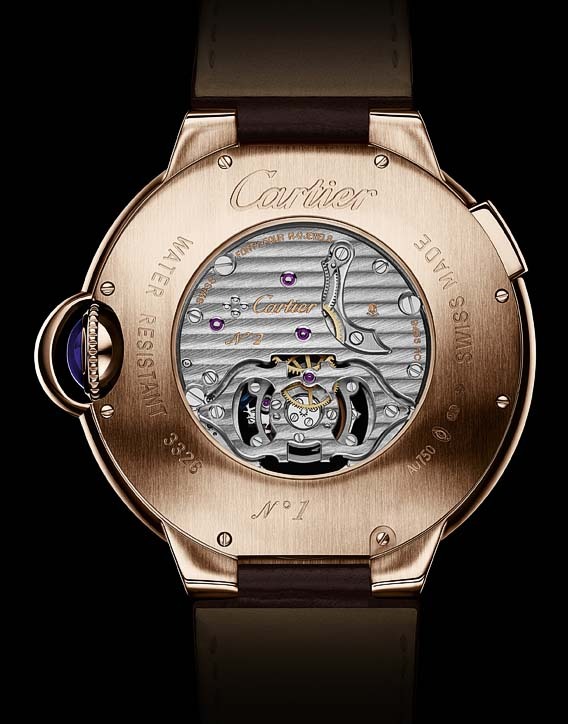 The movement - visible through the sapphire case-back - is the in-house hand-winding Calibre MC9456 with the added jump hour module. The overall level of finishing is outstanding. 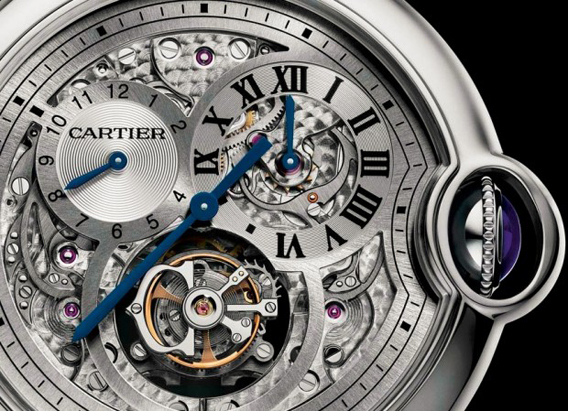 The diameter case is a bold 46 mm while the thickness is 13.8 mm. Limited edition of 50 pieces in white or rose gold.